BACHELOR PAD! 710 sq ft of ultimate open floor plan living with great city views. West facing floor to ceiling windows (11.5' exposed ceilings), polished concrete floors, stone countertops, gas stove, stainless steel appliances (Bosch & Paykel), glass tile backsplash, slate heated tiled bathroom with rain shower, enclosed solarium and balcony perfect for BBQ & sunsets. 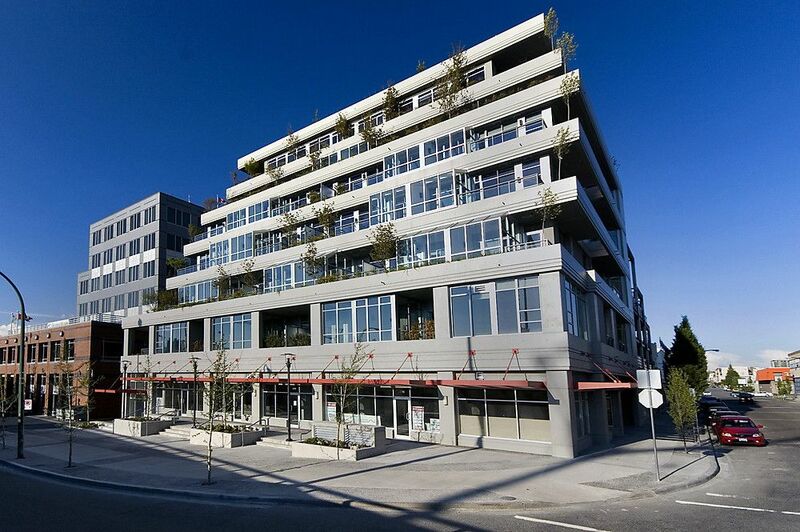 Boutique building with fantastic proximity to downtown, Cambie corridor (Home Depot, Whole Foods, Winners), Seawall, Granville Island and Olympic Village. Steps to the Canada Line station - a perfect location for a world traveler who needs direct access to the airport. Zoned for live/work. Solid concrete construction with balance of full warranty in place. Building amenities include common rooftop deck, BBQ & vegetable garden, 2 secured underground parking spots, bike storage, 1 storage locker, workshop & meeting room. This has it all! Open: Sat,Feb 19,1-3. Agents Open: Thurs,Feb24,10-12.